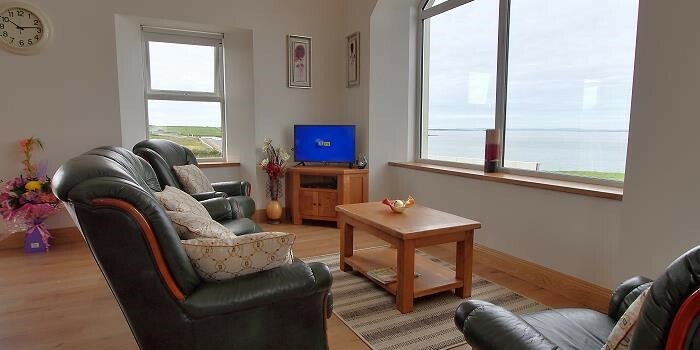 Whitestrand House is located in the idyllic sanctuary of Doonbeg, West Clare, Ireland and boasts the outstanding views of the Atlantic Ocean from its doorstep. 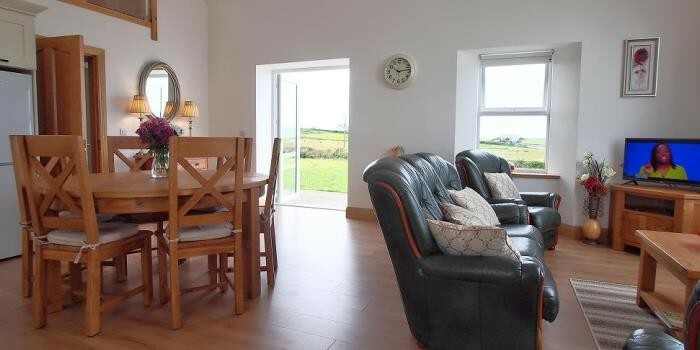 This newly renovated house, located beside a working dairy farm, allows direct access to all of the Wild Atlantic Way’s breath taking pit-stops and attributes. 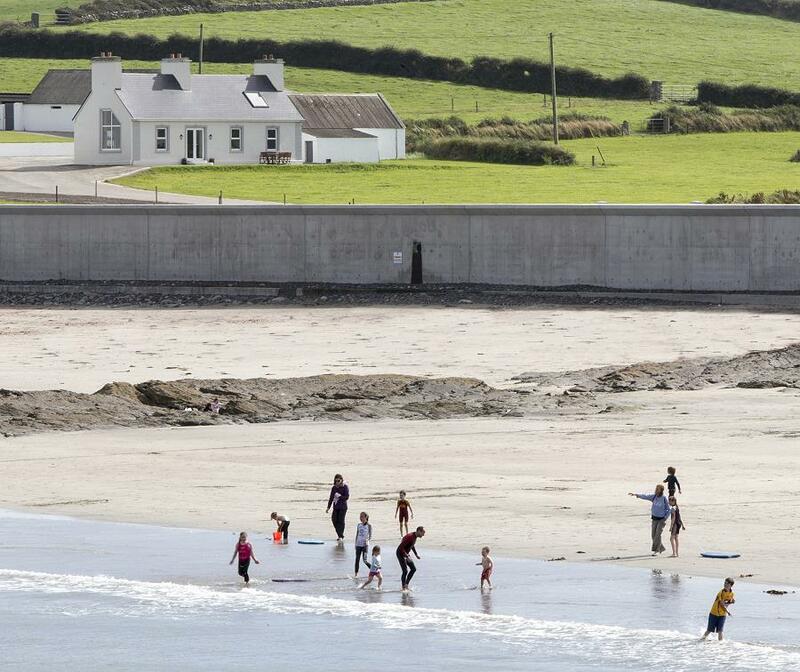 Within 20 metres of the renowned and lifeguarded blue flag Whitestrand Beach, this cottage provides the perfect retreat for all fishing, swimming, surfing, sailing and nature enthusiast activities. 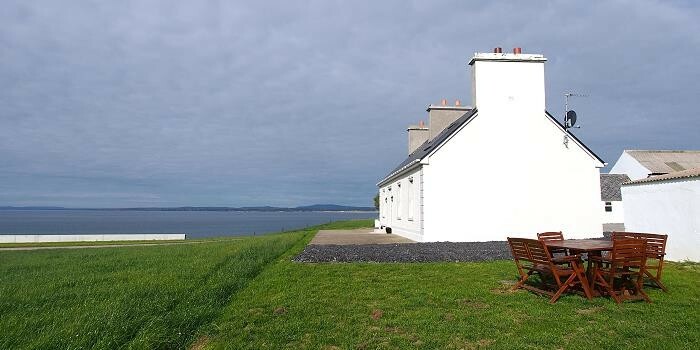 This secluded and unspoilt location offers an attractive choice for the ultimate seaside holiday with magnificent views of the breath taking sunsets with the Aran Islands as a dramatic backdrop. 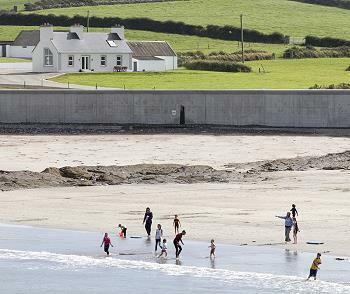 The local scenic walks encapsulate all that coastal Ireland has to offer as well as the unique rock formations that can be found in the residing area. 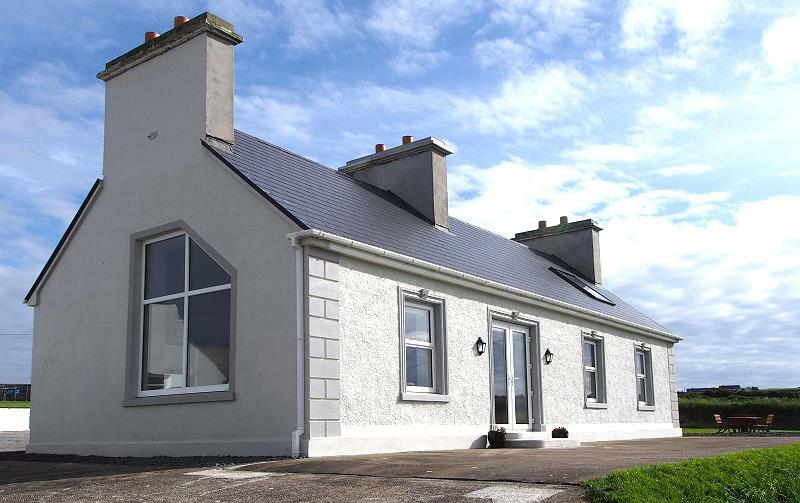 The house is within a 10 minute drive of the renowned and world class Doonbeg Golf Club. Famous locations such as the Cliffs of Moher and the Burren National Park are easily accessed within an hour’s journey. Local transport facilities such as Shannon airport, a 50 minute drive, and Killimer/Tarbert Car Ferry, within 20 minutes, provide access routes along the western corridor. 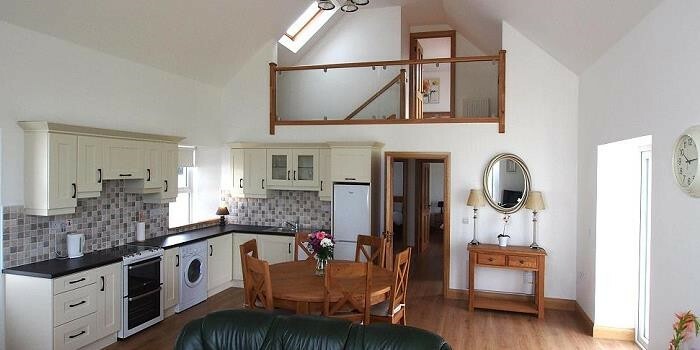 This holiday rental is modern and detached, having been recently restored. 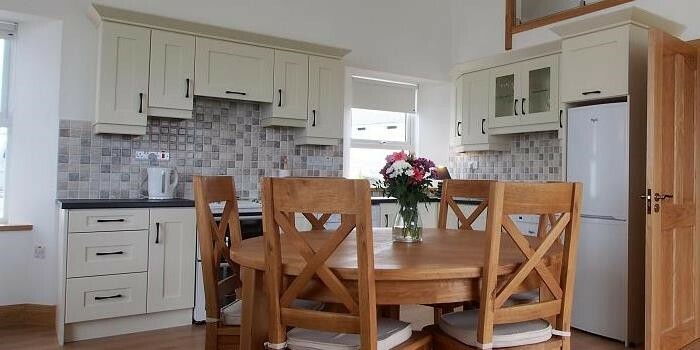 It boasts an open plan living, dining and kitchen area with a well-structured layout, making this a very airy and bright space. 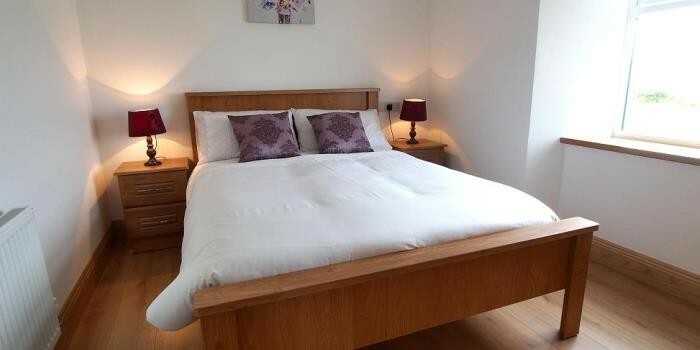 Three double bedrooms provide comfortable space for up to 6 people. The large master bedroom on the upper floor is en suite and epitomises the opulence of this home while a large velux window provides astounding views of the whitestrand from the bed. An separate additional walk in shower serves the two bedrooms on the ground floor. Outdoors, there is vast and secure parking area along with large double doors connecting this house to its coastal location. The patio area along with the garden furniture and lawn area provide the perfect viewing point for all this location has to offer. 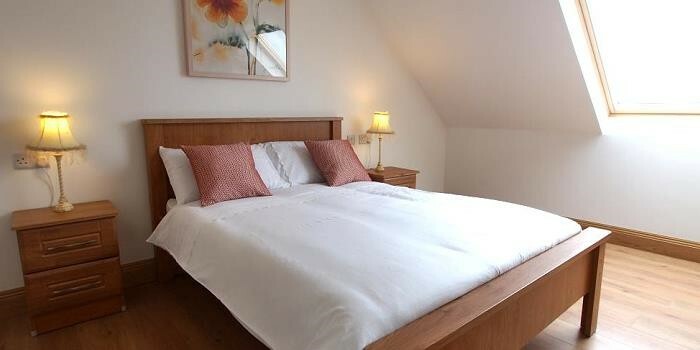 This courtyard area provides views of the local golf course as well as the blissful Doughmore Bay, Atlantic Ocean and surrounding country side.